I met and hosted Nesrine Ismail through Couchsurfing.org when she stayed at my apartment this past Thursday night. She remained in Tampa with another host until Sunday when we caught back up for brunch at Sono Café along the Tampa Riverwalk. Originally from Egypt, Ismail has been living in the United States for 13 years; 12 in Los Angeles and now Atlanta working as a professional makeup artist for the film and entertainment industry. 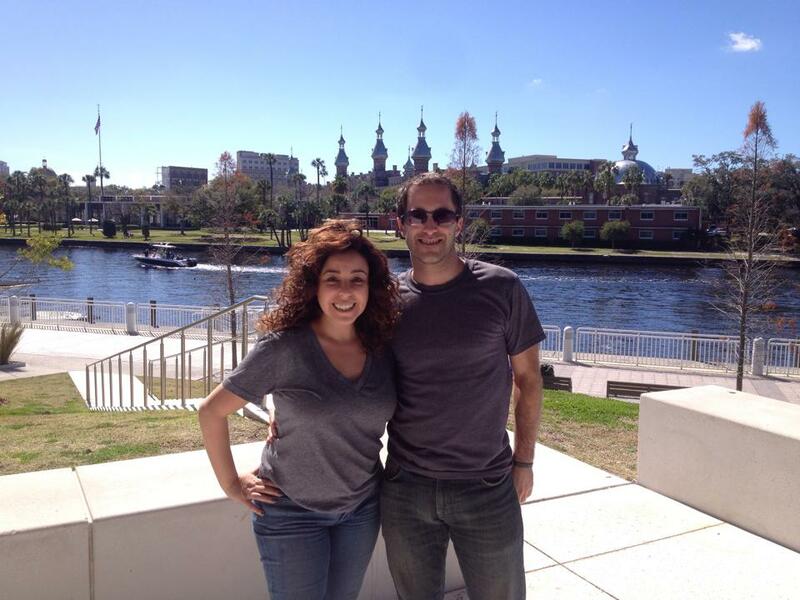 Ismail loves her work and travels often for projects such as the one she was in Tampa for now. This project, potentially a regular gig was for The Fung Bros, an Asian American comedy duo who have a popular YouTube channel and were in Tampa to film a new television show that follows them on dining excursions in various cities. Ismail left Egypt after graduating from Cairo University where she studied Japanese language and literature. In LA she went to school for makeup and special effects and has been working in the field since. Her parents encouraged her to be independent and practical, however unlike her younger sister who is an architect and married with two children, Ismail followed her passion for entertainment and adventure. Her nonconformity might be rooted in her parents own careers that were not driven by money. Ismail’s mother performed in and eventually managed the Cairo Symphony Orchestra before settling in as a music teacher until her passing in 2012. Her father began his career as a lawyer which he escaped from and describes as “a morally depleting job” where you are paid to win for the sake of winning to benefit corporate interests. He then spent time in the insurance industry and as a legal consultant before also becoming a teacher at a small university outside of Cairo where he teaches North African immigration statistics. Ismail enjoyed Tampa and as a self described food lover enjoyed her gig with The Fug Bros which followed the brothers as the dined and critiqued various Tampa Bay restaurants. Doughnuts, Cuban sandwiches, fish tacos, and Greek fare were just some of the tastes of the two days that featured Dough, Gaspar’s Grotto, Taco Bus and Hellas Restaurant and Bakery in Tarpon Springs. She described Ybor City as looking like a movie set that would be on a Hollywood lot and was surprised by the large number of older retirees in Tarpon Springs. Overall she loved the food and sites in and around Tampa and says she might retire here and open a restaurant. 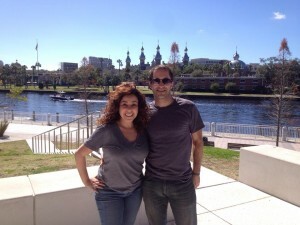 For now though she enjoyed brunch and coffee on a warm sunny day at an outside table overlooking the Hillsborough River, Curtis Hixon Park and of course the Moorish style Plant Hotel that is now the University of Tampa. She describes the view as amazing and commended my choice for our meeting. Ismail was impressed with Downtown Tampa upon her arrival Thursday and Sunday’s view did not disappoint. Ismail, like myself only recently started Couchsurfing but has similarly enjoyed the experience and looks forward to more adventures. Her next gig is at home in Atlanta though where she will be working for the Atanta Opera in the production of Rigoletto.